“In Indonesia, a nation of over 200 million, several hundred people took part in protests. Just a few months ago, 50,000 Indonesians bought tickets to see a Lady Gaga concert before it was canceled. So, what does this say about Muslims in Indonesia? In Egypt, a nation of over 80 million, about 2,000 people protested on Friday. Of those protesters, a few hundred were arrested by the police. In Lebanon, no protests occurred until Monday. Why? Because the pope had been visiting the country, and the leader of Hezbollah, which the U.S. has labeled as a terrorist group, didn’t want to do anything to interfere with the pope’s historic three-day visit. via Media don’t get #MuslimRage – CNN.com. Awesome! I love this article and the photos. “MUSLIM RAGE,” screams Newsweek’s new cover story about last week’s violent anti-American protests. Ayaan Hirsi Ali, the well-known anti-Islam activist, is here to tell “us” (The_West) how to “end it.” And it’s true, isn’t it? All Muslims are constantly raging about everything. So to pay tribute to Ali’s article — which describes the protesters as “the mainstream of contemporary Islam” — and the subtle, smart cover that accompanies it, we’ve collected 13 striking, powerful images of MUSLIM RAGE. via 13 Powerful Images of Muslim Rage. I’m going to preface this by saying I am neither Christian nor Muslim. While I was raised within a Christian nation, having no belief in either religion or no formal education in either, I would consider myself more of an outsider than insider on the emic/etic scale. Perhaps that is why I am baffled by this article, “Fears about Shariah Law Take Hold in Tennessee” and it’s seemingly obvious relation to the Biblical Literalism that is a mainstay of Evangelical Christianity. Love this blog entry! A few days ago I read a blog posted by a liberal Mormon that referenced quotes from the Book of Mormon to explain her beliefs. This article is written by a feminist Muslim and uses quotes from the Qur’an to explain her interpretations of guidelines on modesty. “What do I do when I hear passive aggressive statements coated deceptively in sugar about how a “woman’s best jewelry is her modesty? 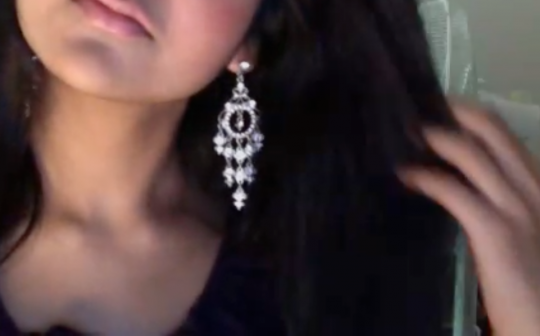 Chandelier earrings.” Read more here: Examining Modesty | the fatal feminist.